I always look forward to December as it means cooler breeze and sweater weather. But I don't think it's happening this year as it's still scorching hot despite being only a few weeks away from Christmas. Thankfully, there are cold treats to keep me sane. 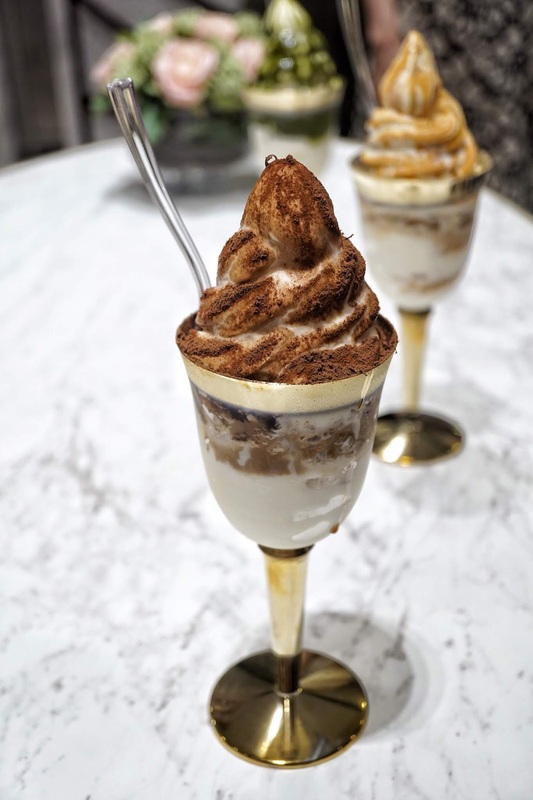 And I was thrilled to find out that the famous Korean dessert shop Kiss the Tiramisu finally opened its second branch. 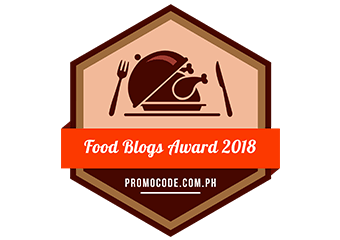 This time, in Trinoma! 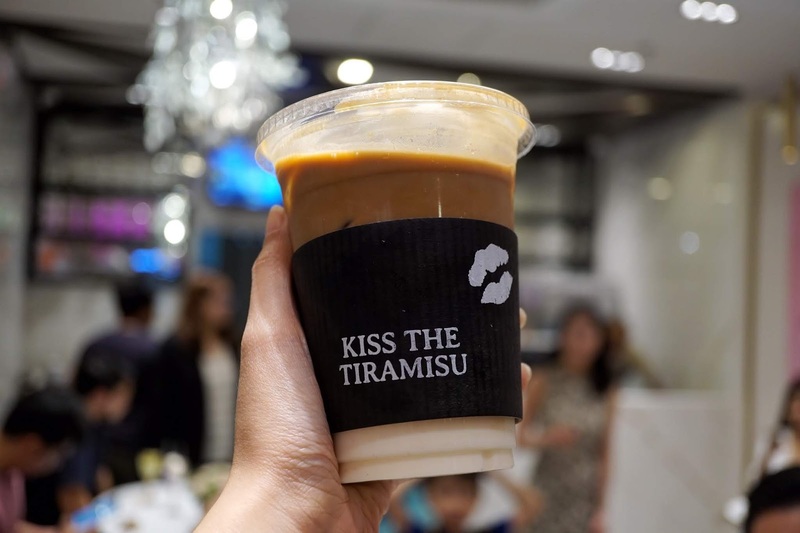 Kiss the Tiramisu is a popular Korean dessert shop that was born from a simple idea of combining two sweet favorites-- ice cream and tiramisu. 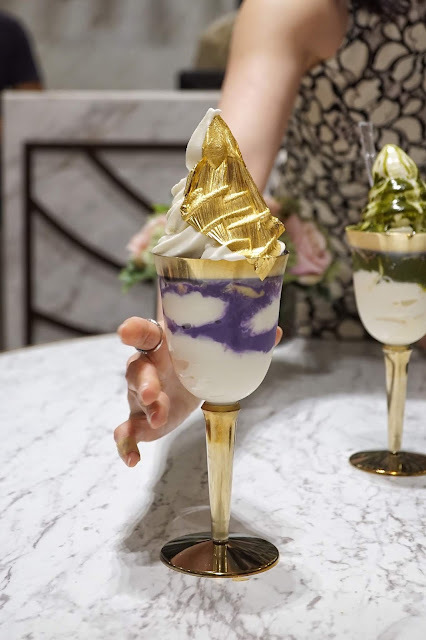 Served a bit more "extra" by having it on a plastic gold-rimmed goblet which you can bring home, it became an instant hit, not just in Korea but in several countries as well, including Canada and the Philippines! 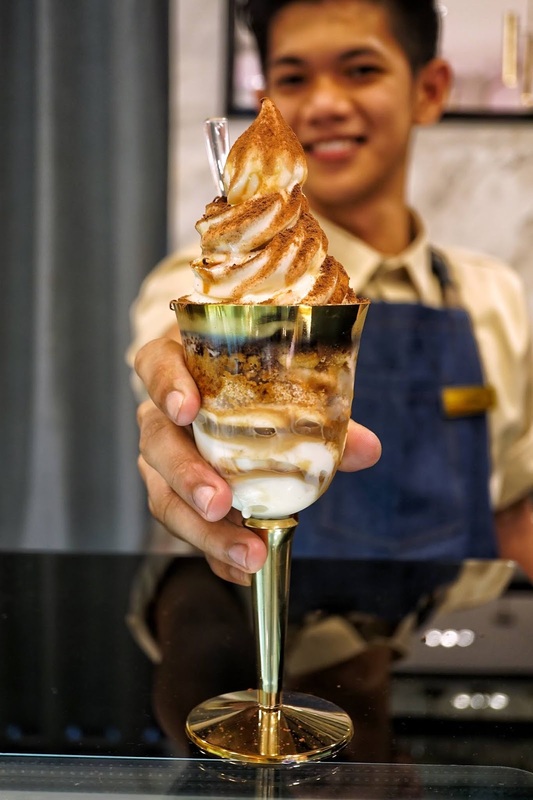 Though prices of its soft serve ice cream do not come cheap, its premium ingredients are said to make up for its rather steep prices which start at PHP265. 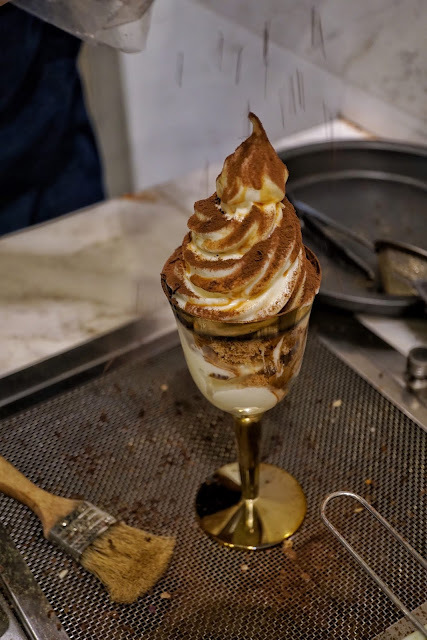 Imagine glorious sweet layers of vanilla ice cream (made purely with milk), mascarpone cheese, mocha, chocolate cookie crumble, drizzled with coffee sauce then topped with dark chocolate shavings... it's one delightful treat hard to pass. 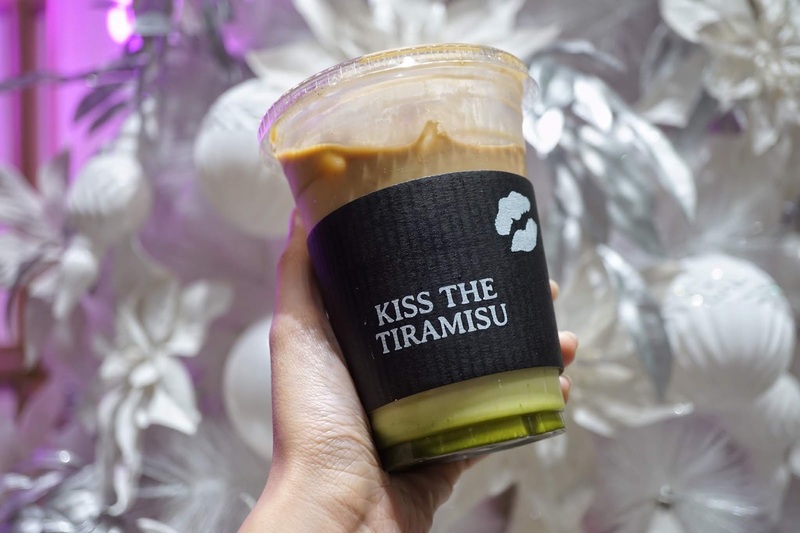 Aside from Classic Tiramisu Ice Cream (PHP265), Kiss the Tiramisu also offers Matcha (PHP285), Injeolmi (PHP265) and Midas Touch (PHP295). 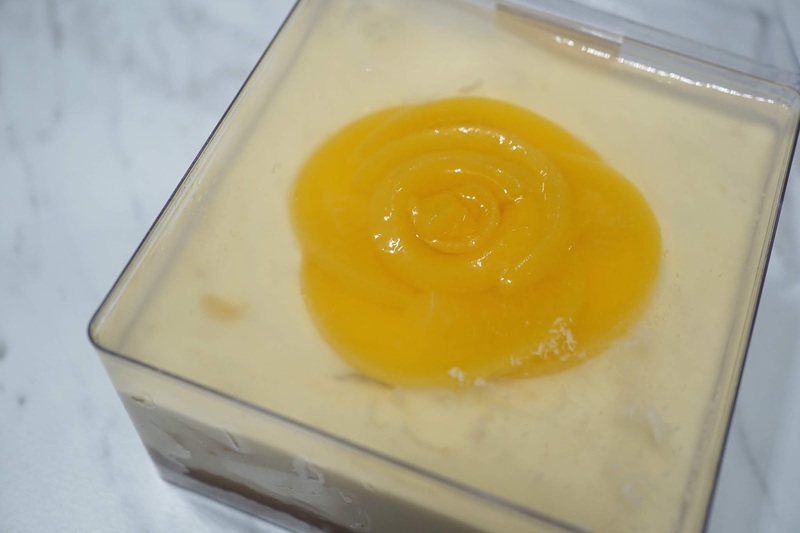 And to make things even more festive, Christmas cakes Peach Cheesecake and Oreo Mousse Cake (PHP300 each) are also made available. 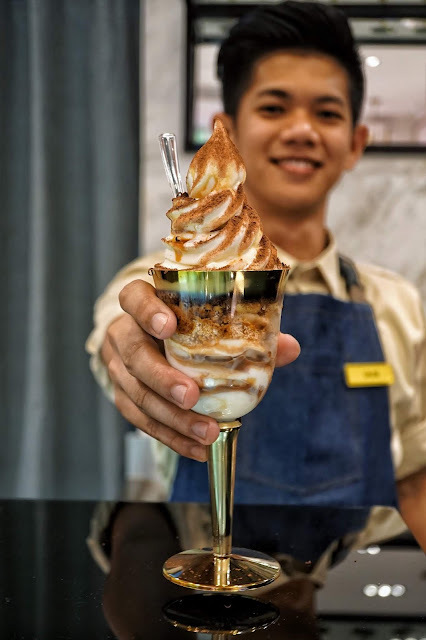 The soft serve ice cream are undoubtedly milky. And it should be as it doesn't even use water to make it. 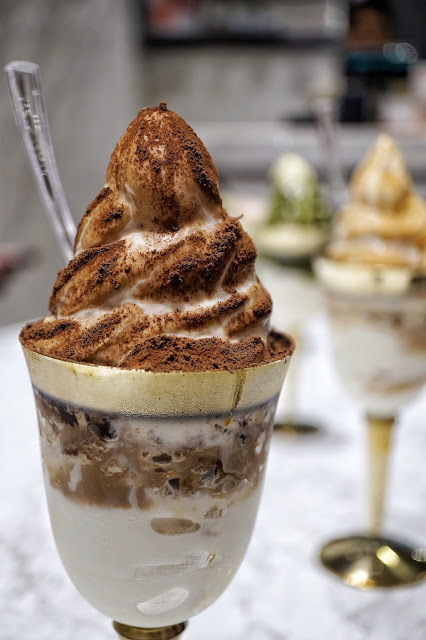 However, I found the texture to be too light and it lacks that smooth creamy texture I love with ice cream. Its taste was also light which puts the other ingredients in the spotlight. If you're new to Kiss the Tiramisu, go for Classic Tiramisu Ice Cream to get a better taste of what made this brand so talked about. 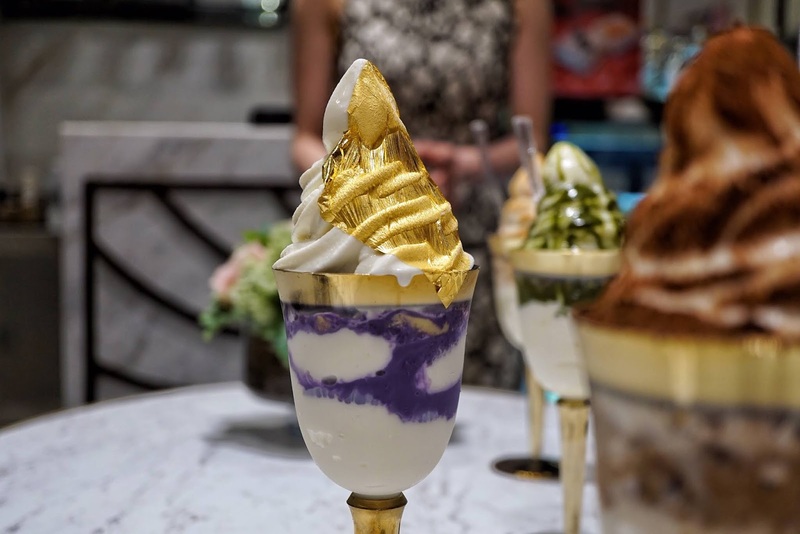 Or go for Midas Touch which is topped with an edible 24-Karat gold leaf! 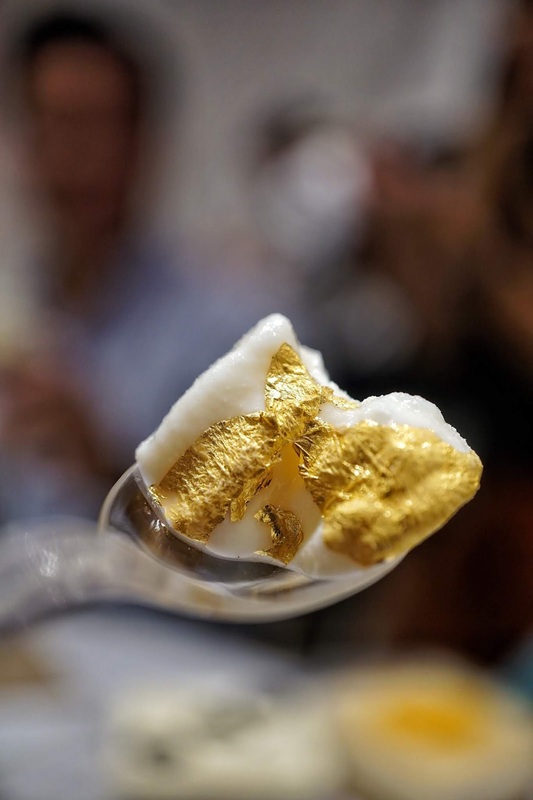 I hate to disappoint you though, the gold leaf doesn't taste anything. 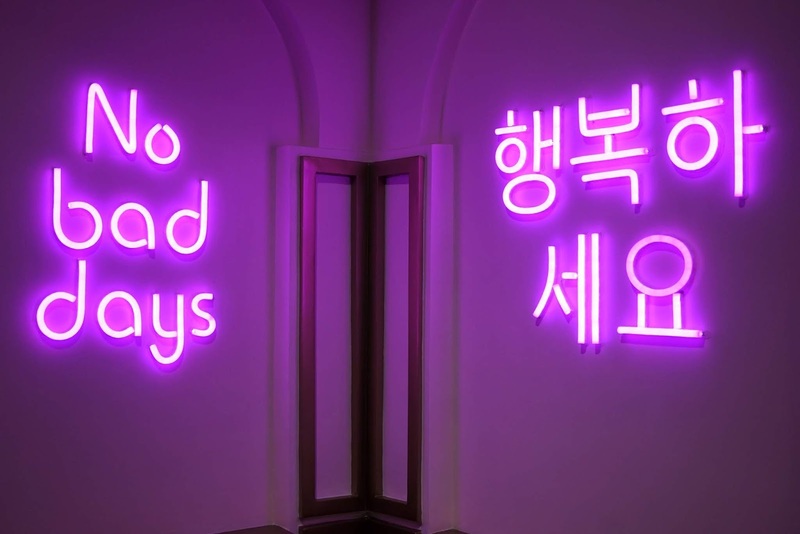 But it sure adds that lovely shine or bling on anyone's social media feed. 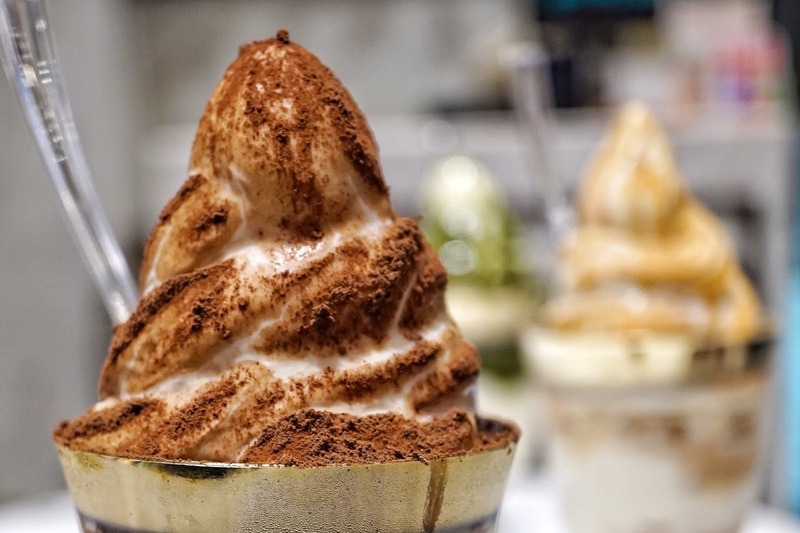 Injeolmi (rice cake) Tiramisu Ice Cream is the least sweet variant. Though I love the chewy texture of the rice cake, reminiscent of Japanese mochi, I didn't really like its slight bitter after taste. 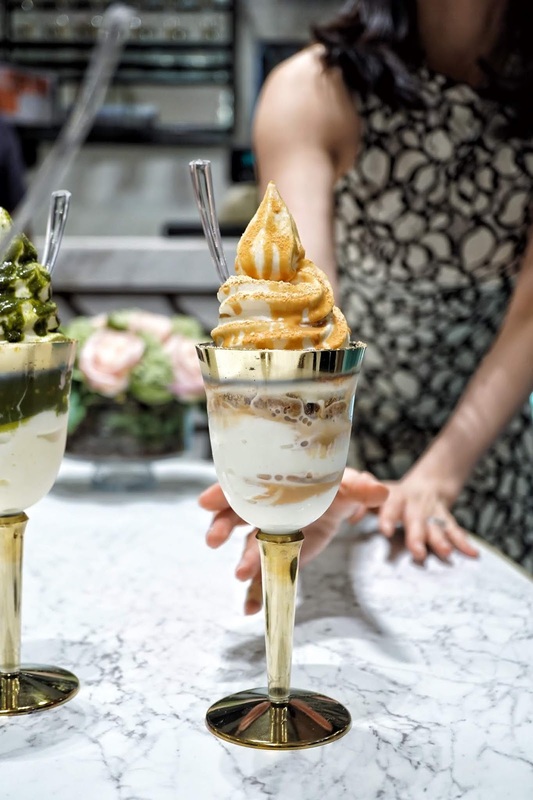 My favorite would be Matcha. It was the most flavorful among the four. 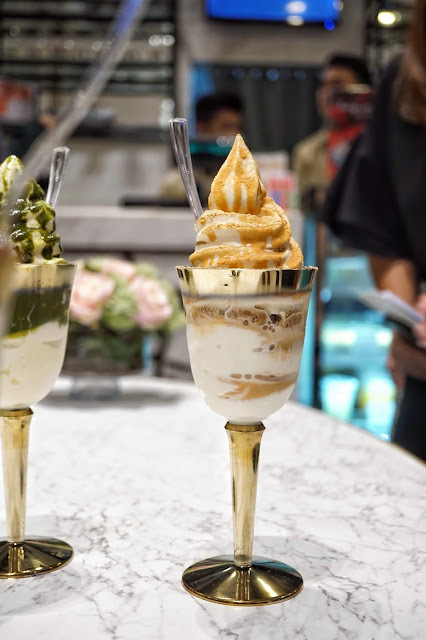 The green tea taste was pronounced and blended well with the milky ice cream. 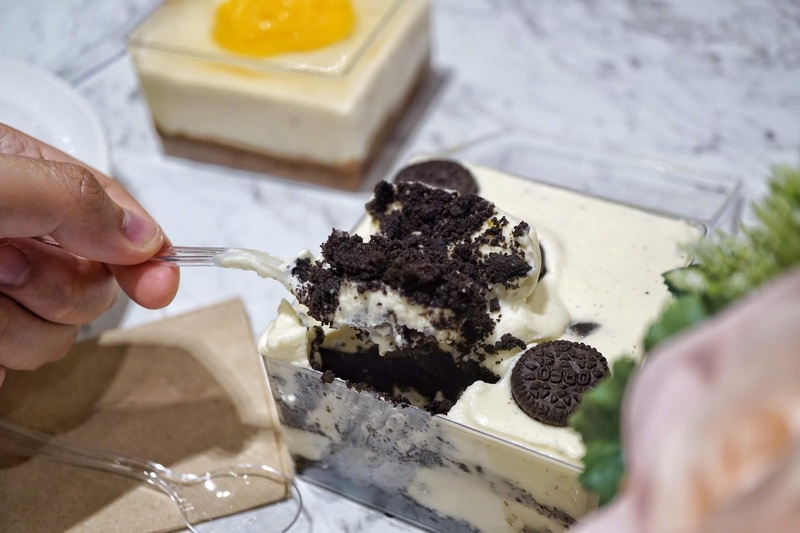 For the cakes, I liked Oreo Mousse Cake better. 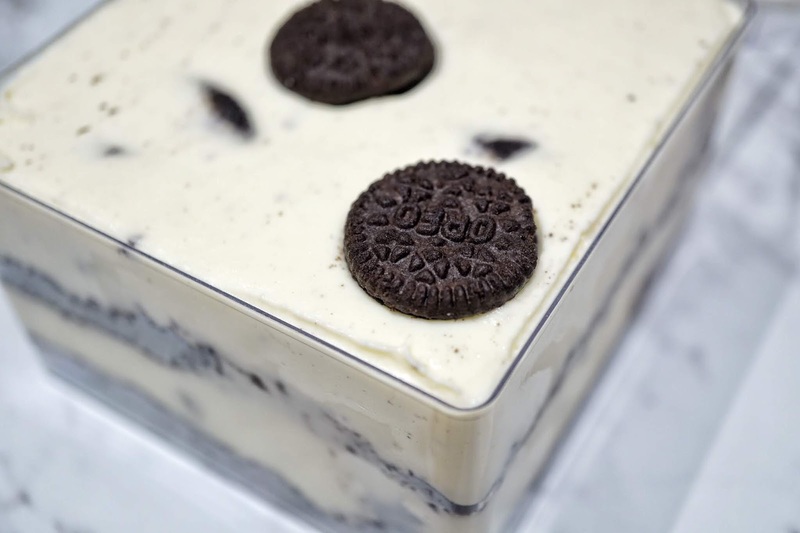 It somehow reminded me of Oreo Blizzard or Oreo McFlurry but in cake form. For its price though, I'd go for another cake brand. 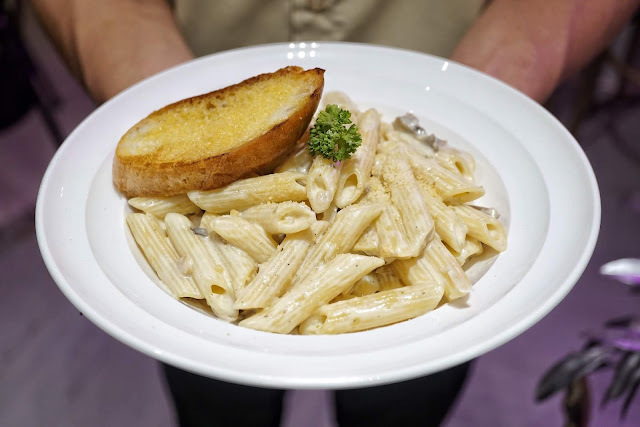 We were also served Truffle Mushroom Pasta (PHP350) which T mentioned to taste okay but the pasta was under cooked. Though most of the items we tried at Kiss the Tiramisu were rather underwhelming, its drinks are worth checking out! I had Matcha Latte (PHP190) while R went for Vanilla Latte (PHP140) and both were great! 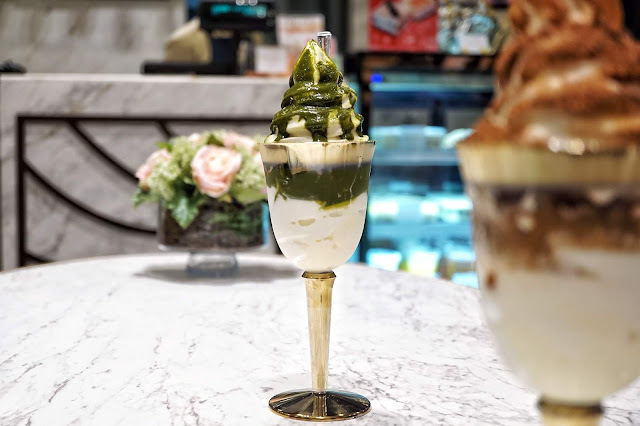 While the Vanilla Latte is best for those who love milky and sweet drinks, Matcha Latte would make green tea lovers twirl with bliss! The green tea taste was prominent but not overwhelming and I love the slight rough texture which gave me an impression that they don't just use powder to give that delightful matcha taste. 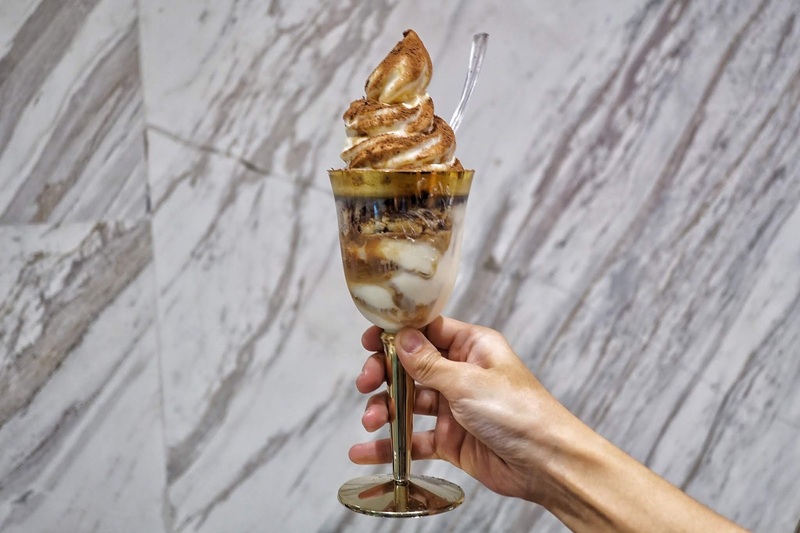 Overall, Kiss the Tiramisu is a place that would give you the most picturesque soft serve ice cream. 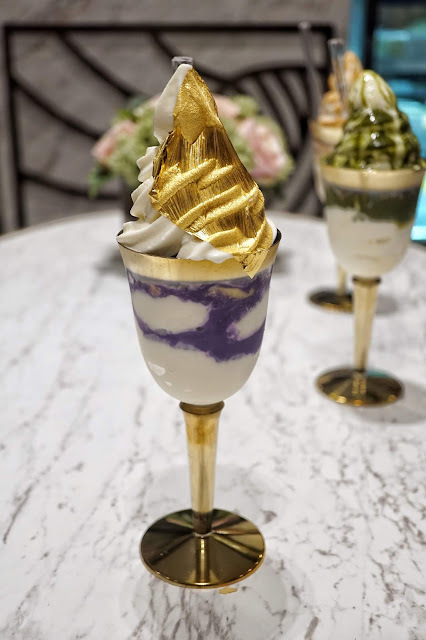 But its underrated drinks are really what would make me go back for more. 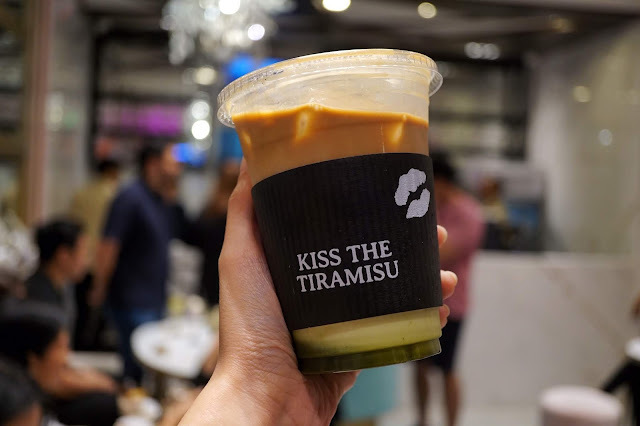 Kiss the Tiramisu is located at Ground Floor, Mindanao Lobby Entrance, Trinoma Mall, Quezon City. It's across Fully Booked.